The allocation draw took place on 28 January 2019 at the Tel Aviv Museum of Art. Hosts were Assi Azar and Lucy Ayoub (two of the hosts for Eurovision 2019). To ensure a fair voting and competition, the 36 countries were distributed into 6 Draw Pots, based on the voting pattern to avoid too much neighbour voting. How was the draw made? 1: Which pre-qualified countries vote in which Semi-final? 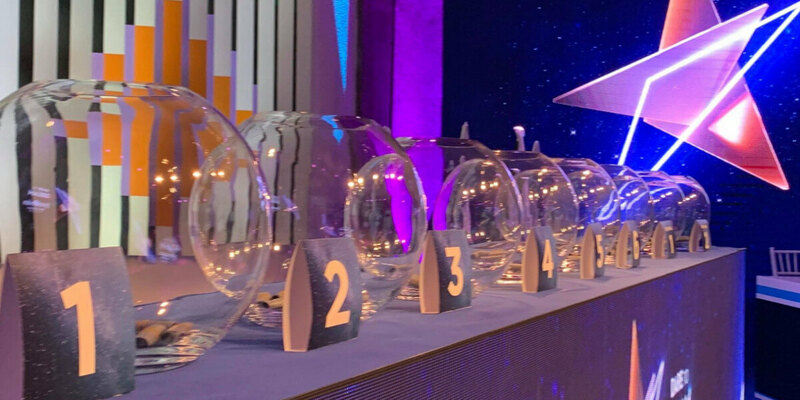 The first part determined which of the six pre-qualified countries (Big 5: France, Germany, Italy, Spain, UK, and host: Israel) will broadcast and vote in which of the two Semi-finals. 2: Who's in which Semi-final? Before the allocation draw the Host Insignia Exchange took place. Here the Deputy Mayor of Lisbon, Duare Cordeiro, handed over the Host City Insignia to Ron Huldai, Mayor of Tel Aviv.